The Vileda mop premium 5 bucket together with the accompanying mop really makes cleaning floors a breeze. Vileda make great quality products and I highly recommend them. 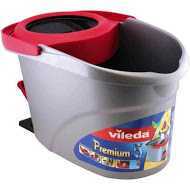 How would you rate Vileda Mop Premium 5 Bucket?